Patented in Paris, France, by photographer André Adolphe Eugène Disdéri in 1854, cartes de visite (CDVs) were photographs created with a special camera that produced eight poses on one negative. CDVs quickly replaced the old glass images of the ambrotypes, producing a card the size of the then standard calling card, around 2.5” by 4". CDVs arrived in the United States around 1859. Faced with the financial demands of the Civil War, a June 30, 1864, act of Congress placed a new luxury tax on "photographs, ambrotypes, daguerreotypes or any other sun-pictures." 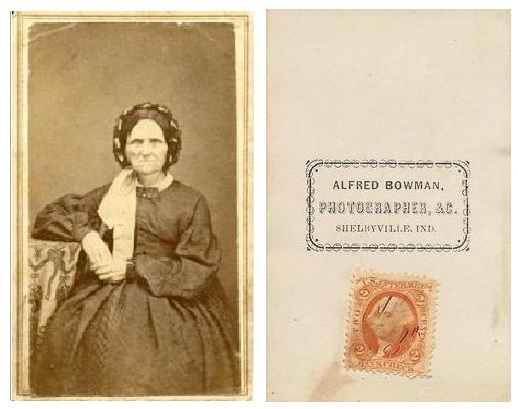 Photographers were required to affix a properly denominated revenue stamps on the back of the image and cancel it by initialing and dating it in pen. However, there was not a special stamp created for photography. So, you will see on the backs of the calling card photographs US revenue stamps originally intended for Bank Checks, Playing Cards, Certificates, Proprietary, Bill of Lading, etc. These were accepted by the Federal Government on cartes de visite as long as the stamp denomination was appropriate. 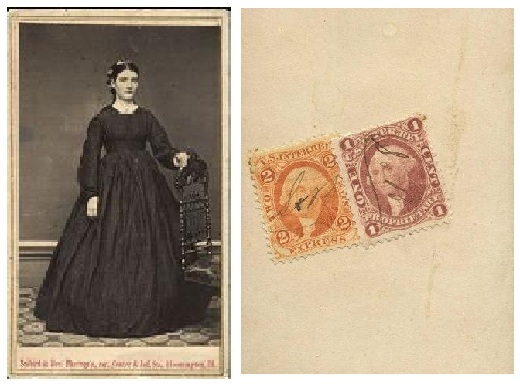 Examples of US revenue stamps affixed to cartes de visite photos are shown below. Scott #R5 - "Bank Check"
Scott #R15 - "Internal Revenue"
Scott #R11 - "Playing Cards"
Most calling card images cost between 25 and 50 cents. Thus, the majority of cartes de visite have a 2 or 3 cent revenue stamp affixed to them. But, occasionally you will see a CDV with a combination of US revenue stamps needed to pay the required tax. 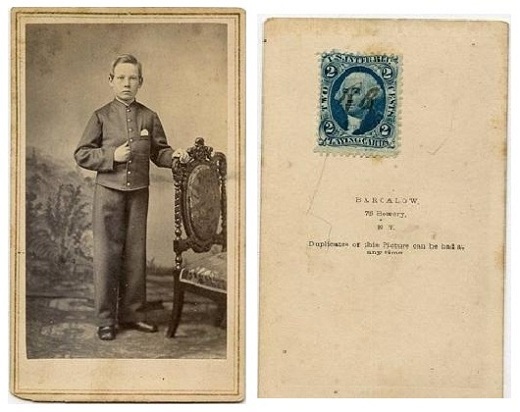 Below are examples of cartes de visites and the revenue stamps affixed to the back of the photographs. The tax on photographs created and sold in the United States was repealed effective August 1, 1866. 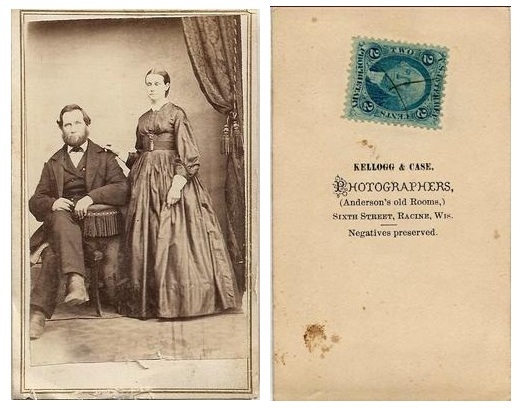 But, it is indeed quite possible that a collector could find a post-August, 1866, carte de visite card with an affixed tax stamp if a photographer was not aware of the recently repealed law. Such an item would certainly be very rare and collectible.